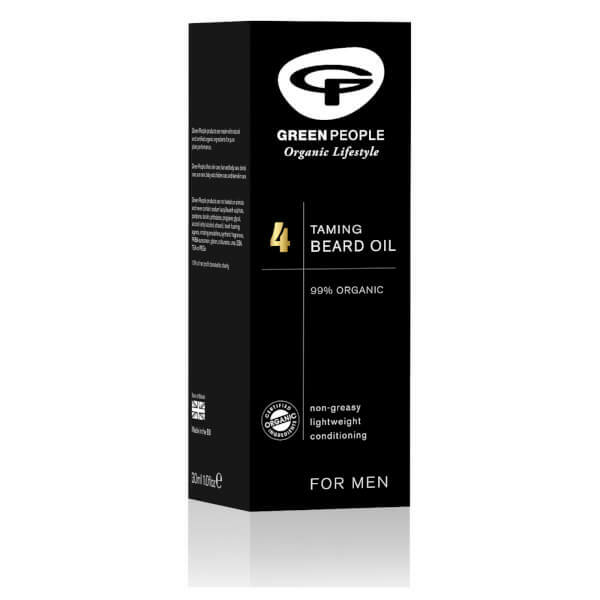 Strengthen and condition your facial hair with Green People Men's No. 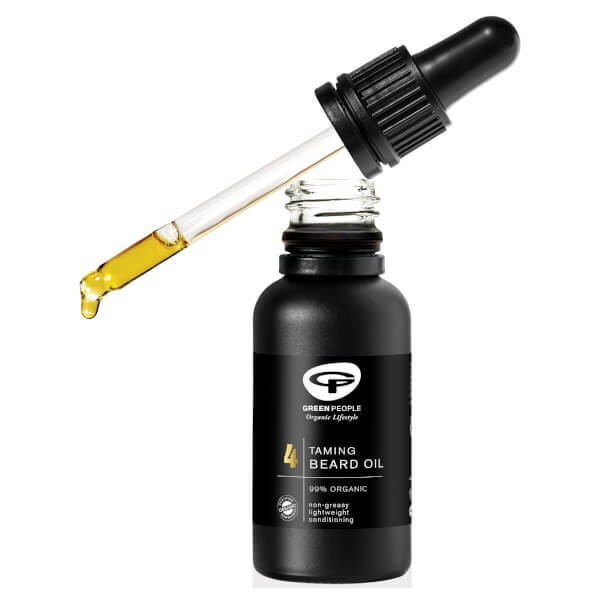 4 Taming Beard Oil, a nourishing treatment that leaves the skin and hair soft and healthy. 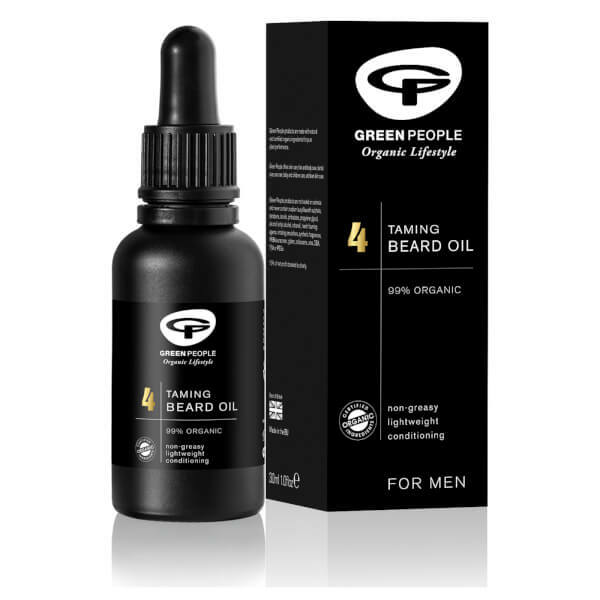 The vitamin-rich formula uses Safflower Oil to encourage growth and fortify the hair follicles, while Tea Tree helps to prevent ingrown hairs from forming. 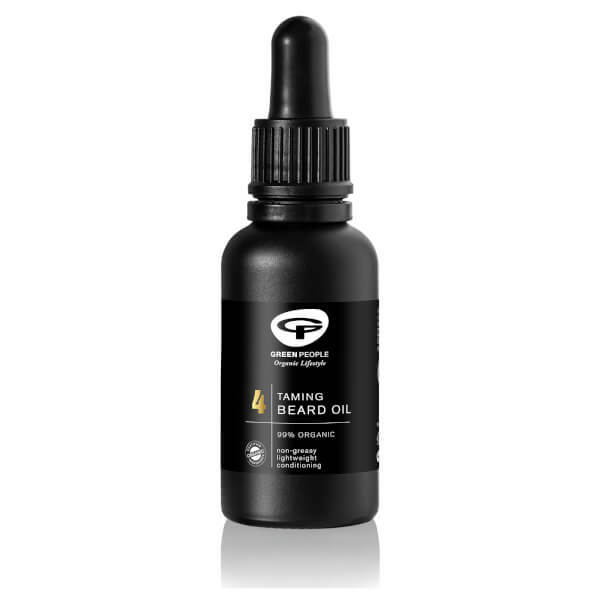 The lightweight, non-greasy oil smooths the hair cuticle to minimise frizz and enhance shine for perfectly groomed results. Free from SLS, parabens, lanolin, phthalates, alcohol, gluten and synthetic colours and fragrances. Extender un par de gotas de aceite desde las raíces hasta las puntas. Simmondsia Chinensis (Jojoba) Seed Oil*, Carthamus Tinctorius (Safflower) Seed Oil*, Nigella Sativa (Black Cumin) Seed Oil*, Adansonia Digitata (Baobab) Seed Oil*, Mauritia Flexuosa (Buriti) Fruit Oil*, Aroma [Rosmarinus Officinalis (Rosemary) Leaf Oil*, Lavandula Angustifolia (Lavender) Herb Oil*, Cupressus Sempervirens (Cypress) Leaf Oil*, Melaleuca Alternifolia (Tea Tree) Leaf Oil*], Helianthus Annuus (Sunflower) Seed Oil, Tocopherol, Limonene*, Linalool*, Geraniol*.